Happy Valentine’s Day! It’s a little foggy outside and the weather is cool but I’m enjoying the day regardless. It is finished! 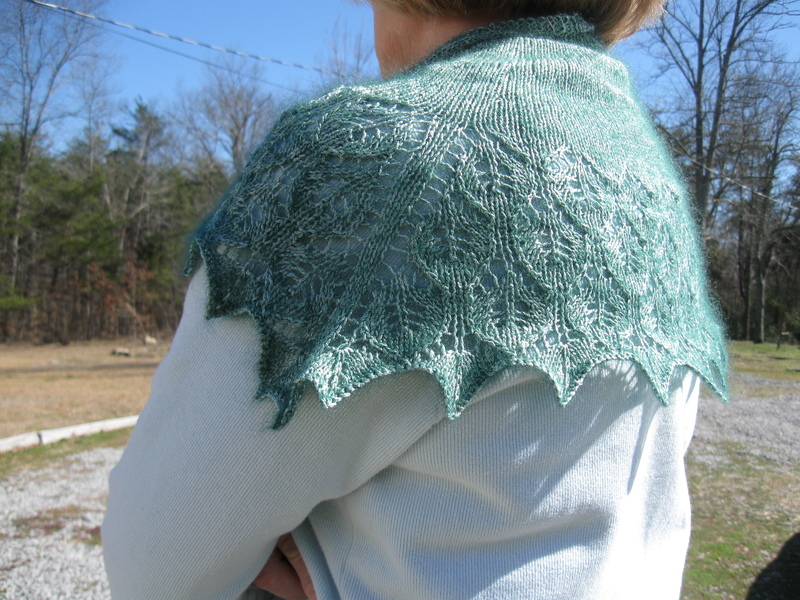 I finished my Live Oak Shawlette last Friday, blocked it and wore it to church on Sunday. I love the way it feels and looks. The pattern called for sock yarn but the sock yarn I had wasn’t something I wanted to use so I went browsing through my stash and came up with the Schulana Mosco. I don’t think it’s as stretchy as the sock yarn would be. It received a lot of compliments. And, at this size it can also be worn as a scarf around my neck. I Love It!! 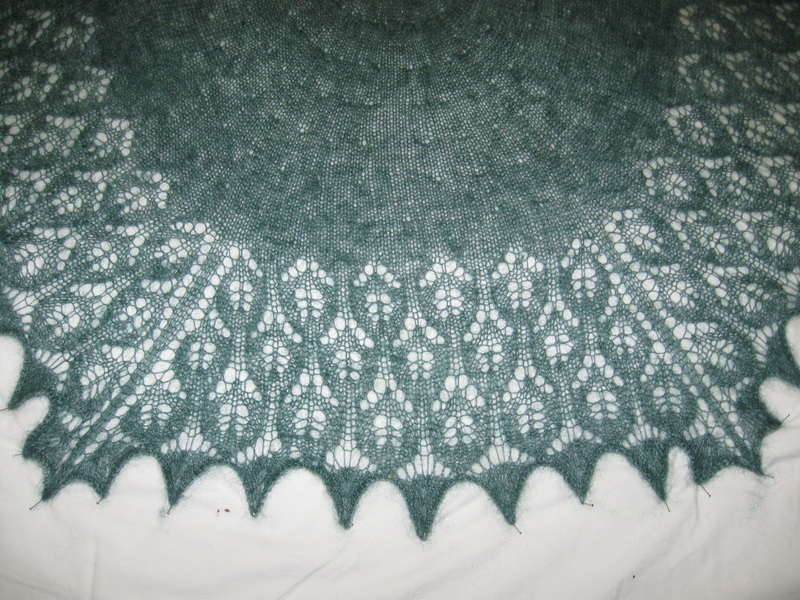 Live Oak Shawlette being blocked. Wearing the shawlette to church. At the moment, I am wandering around touching my yarn, browsing through patterns but I have not cast on anything new. I am not sure what I want to do next. My daughter wants a hat “that fits.” She thinks the Habitat Hat is too big. And she wants something knitted in lavender/purple. That will probably be what I knit next. I will let you know what she decides. I wish I could show you a picture of her wearing it but those pictures are in my “dead” computer.